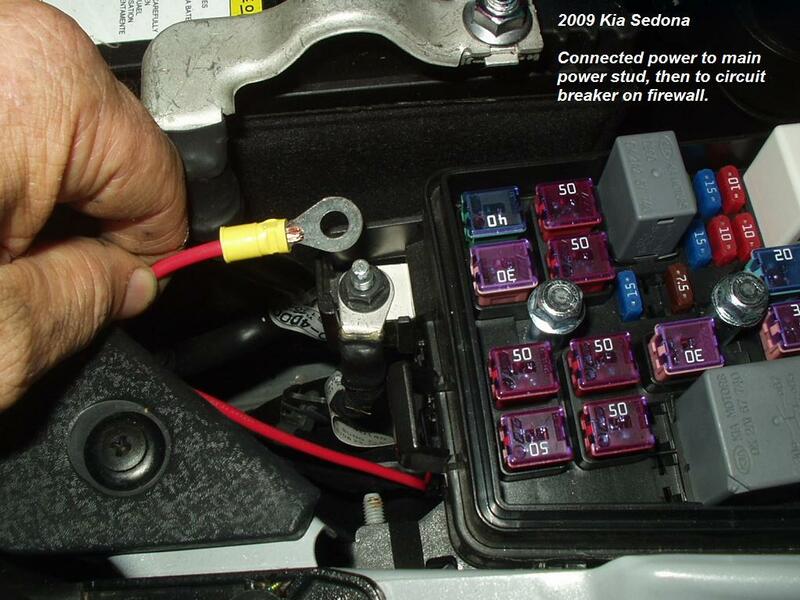 Brake light switch close up. 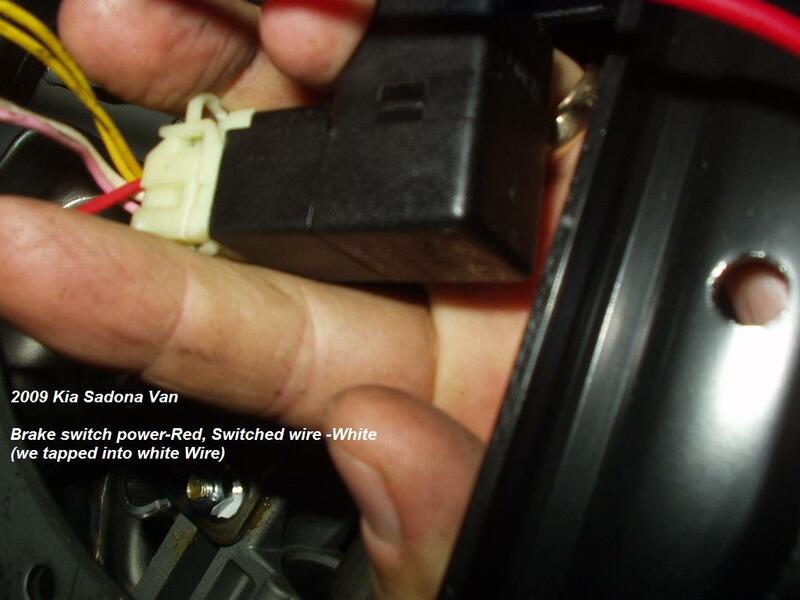 Squeeze top of plug to pull out connector to make it easier to reach wires. 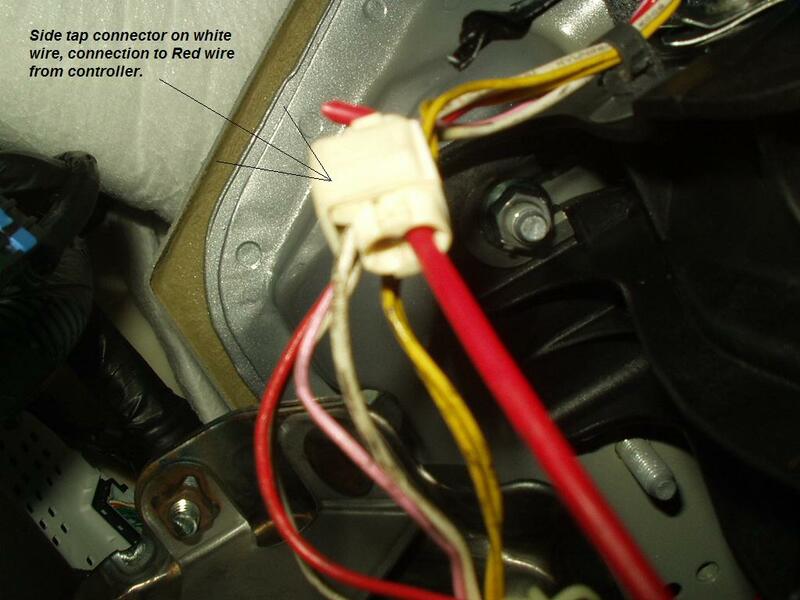 We tapped into the WHITE wire for the brake light signal (red wire on the controller) Test to be sure, it must power on when the brake pedal is pushed. 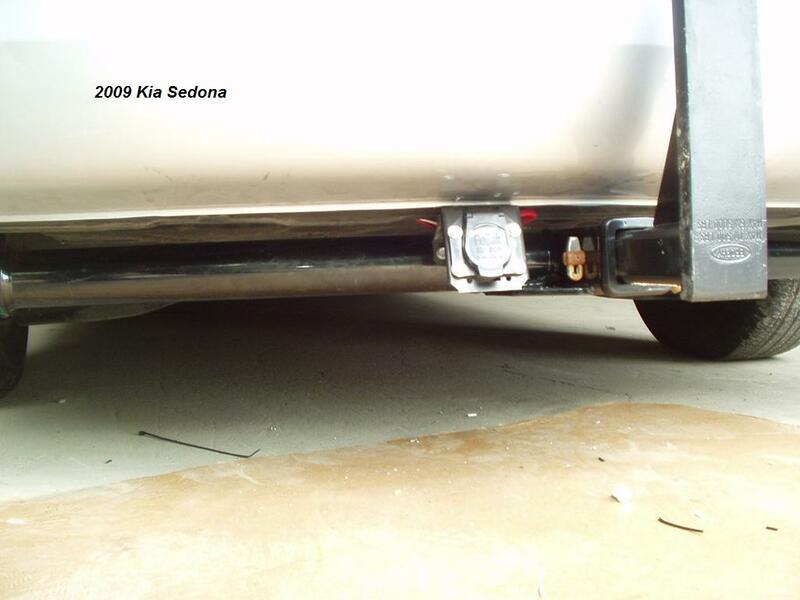 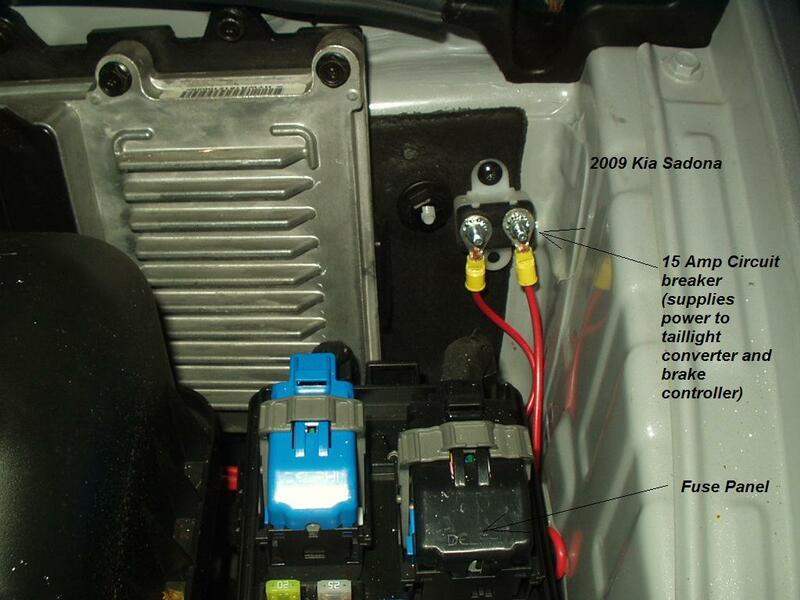 Battery feed was taken from the main fuse panel (under the hood). 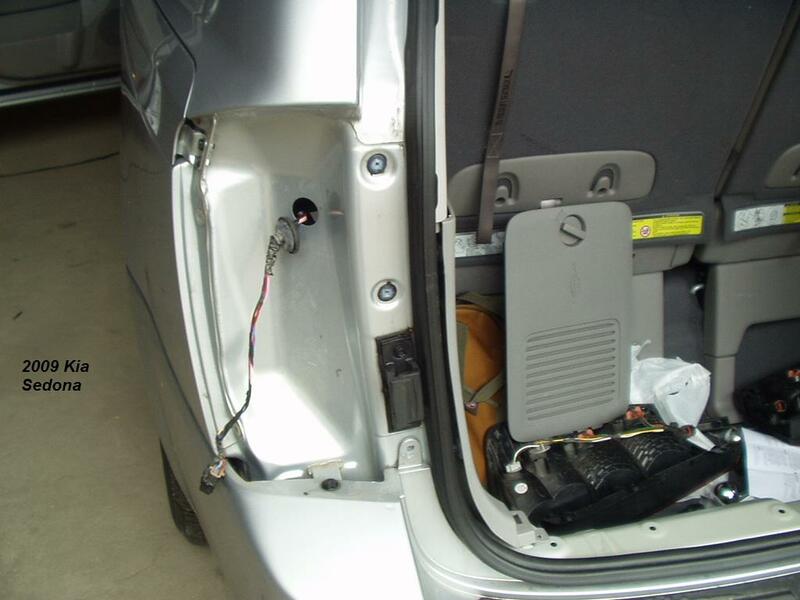 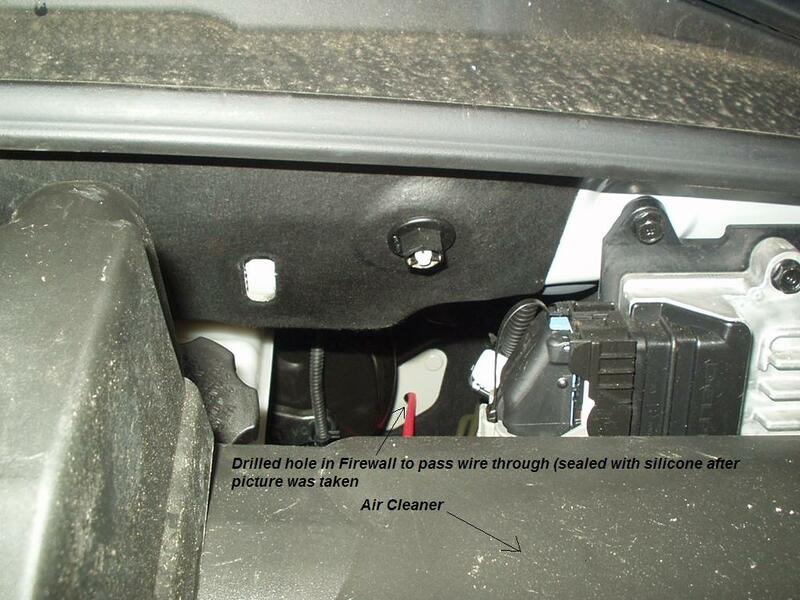 The Ground wire (white) was grounded under the dash (see screw in picture).